Discover Jacques-Cartier National Park by electric bike on a 3-hour tour from Quebec City. The short excursion is the perfect chance to take full advantage of the region’s famous winter weather. 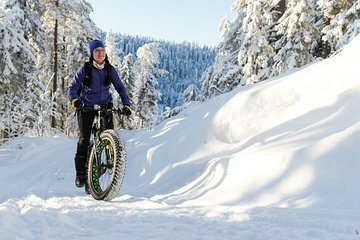 Regardless of experience level, the bike’s electric motor and monster tires makes it easy for you to traverse the snowy park. Afterwards, warm up with lunch and a hot drink in a heated tent.